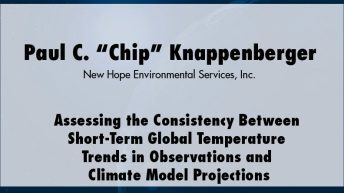 Paul C. “Chip” Knappenberger has more than 20 years of experience as a climate researcher, including 10 years with the Virginia State Climatology Office and 14 years with New Hope Environmental Services, Inc. 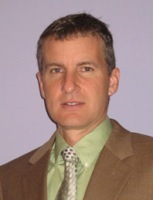 He has studied such diverse topics as patterns of global warming, causes of global warming, hurricanes, behavior of U.S. temperature and precipitation change, weather/mortality relationships in the United States, Greenland ice melt, diurnal temperature change, weather and agriculture, circulation changes in the eastern United States, snowfall/temperature relationships in Canada, wintertime coastal storm tracks in the eastern United States, and winter weather forecasting techniques. 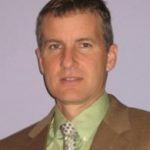 He has authored or co-authored more than 20 papers appearing in the peer-reviewed scientific literature and numerous others appearing in scientific conference proceedings, professional journals, and the popular press.